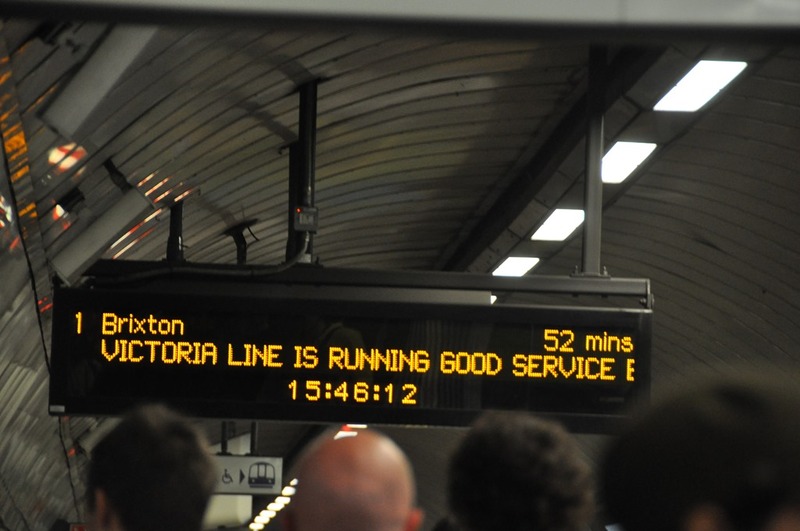 I should point out that London Transport usually performs a lot better than this, and should further point at that, on this occasion, their performance was a lot better than the display. Still a nice shot though. This entry was posted in Thoughts and tagged london by w7. Bookmark the permalink.